I hope all of you have or are in the process of booking your summer holidays. And if that is the case, isn’t that the perfect excuse for some new trendy accessories so you can travel in style? 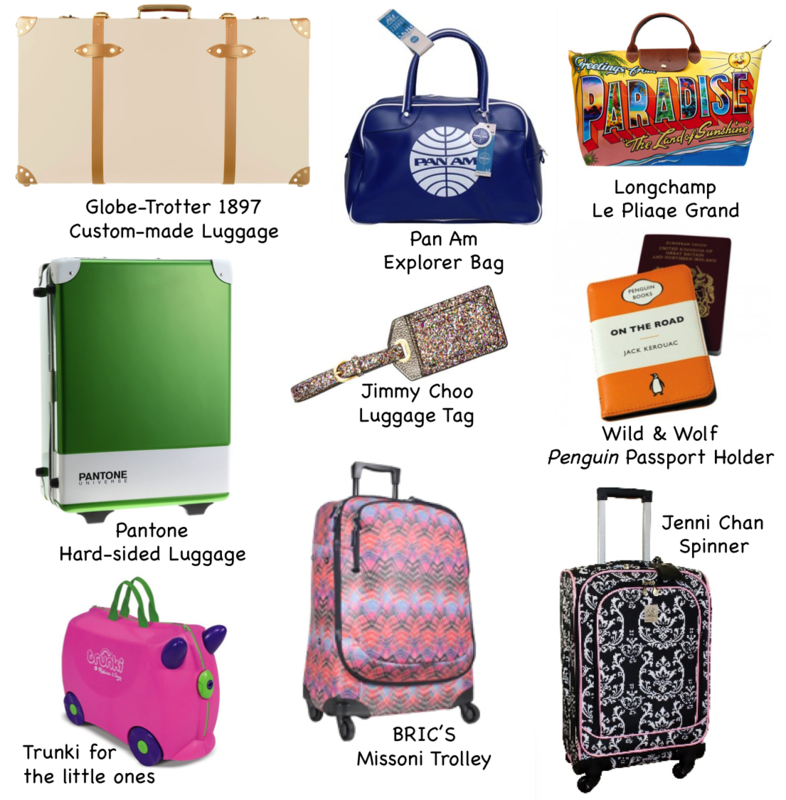 This entry was posted in & Other Things, Fashion and tagged Globe-trotter, Jimmy Choo, Longchamp, Missoni, Pan Am, Pnatone, Travel in style, Trunki by sofischoice. Bookmark the permalink.